Feature extraction is a fundamental process in writer identification that requires efficient methods to characterize and handle local variations of the characters shape and writer individuality. This paper presents a reliable and novel learning-based approach for off-line text-independent writer identification of handwriting. 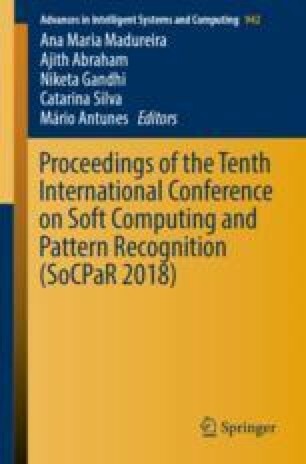 Exploiting the local regions in the writing samples (document or set of word/text line images), we propose a simple, yet adaptive and discriminative feature representation based on handcrafted texture descriptors including Local Binary Patterns (LBP), Local Ternary Patterns (LTP) and Local Phase Quantization (LPQ) to describe characteristic features of the writing style variability. The overall system extracts from the input writing a set of connected components, which seen as texture sub-images where each one of them is subjected to LBP, LPQ or LTP to compute the feature matrix. This matrix is then fed to dimensionality reduction process followed by segmentation into a number of non-overlapping zones, which are afterward subjected to sub-histogram sequence concatenation to form the holistic concatenated component feature histogram. In the identification stage, the writing samples are recognized and classified through their feature histograms using the nearest neighbor 1-NN classifier. Experiments conducted on two handwritten representative databases (AHTID/MW and IAM) indicate that our system performs better than the state-of-the-art systems on the Arabic AHTID/MW database, and show competitive performance on the English IAM database.